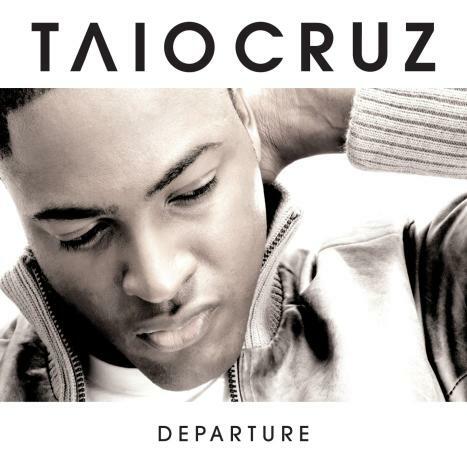 Taio Cruz (pronounced /ˌtaɪ.oʊ ˈkruːz/ TYE-oh KREWZ born Jacob Taio Cruz is an English singer, songwriter and music producer. In 2008 he released his debut album Departure. Written, arranged and produced by himself, it achieved initial success in the UK and earned him a MOBO Award nomination. In October 2009, he released his follow up album Rokstarr in the UK. It included his UK and U.S. No. 1 single "Break Your Heart" (his U.S. debut single). Cruz was born in London, England, to a Nigerian father and a Brazilian mother. His song writing career began at age of 18 as part of Tricky Stewart's writing collective, RedZone Entertainment. He achieved notability at the age of 21 when he was awarded a BRIT Award for co-writing Will Young's 2004 single, "Your Game". He is the founder and C.E.O. of Rokstarr Music London, which in 2006 released his debut single "I Just Wanna Know". Also in 2006, he signed a joint deal with Universal Music Group companies, Republic Records and the UK branch of Island Records. Taio Cruz is a British Pop singer/songwriter whose second album, Rokstarr, catapulted him to international chart-topping success in 2010 with its smash hit singles "Break Your Heart" and "Dynamite." Born Jacob Taio Cruz on April 23, 1983, in London, England, to a Nigerian father and a Brazilian mother, he went to school in Rugby, Warwickshire, West Midlands. His songwriting career got off to a quick start when he was signed to a publishing deal at age 19 and credited with co-writing Pop Idol winner Will Young's 2004 Top Five hit single "Your Game," the recipient of the 2005 Brit Award for Best British Single. In the wake of this success, Cruz made his debut as a solo artist in 2006 with the Top 30 single "I Just Wanna Know." Initially released by his own label, Rokstarr Music London (later renamed Rokstarr Entertainment Division), the song earned him a major-label recording contract with Island Records. Following a couple more singles, "Moving On" and "Come on Girl," the latter of which hit the Top Five, Cruz made his full-length album debut with Departure (2008). Entirely written and produced by the singer/songwriter himself, Departure spawned another two singles, "I Can Be" and "She's Like a Star," and earned favorable reviews. Prior to releasing his second album, Cruz furthered his reputation as a hitmaking songwriter. In addition to co-writing songs for British pop superstars Cheryl Cole ("Stand Up") and JLS ("Keep You"), he penned material for grime rapper Tinchy Stryder's second album, Catch 22 (2009), in particular the Top Five hit "Take Me Back" and the chart-topping smash "Never Leave You." "Break Your Heart," the lead single from Cruz's second solo album, Rokstarr (2009), topped the U.K. singles chart in September, a month after "Never Leave You" vacated the spot, and third single "Dirty Picture" was another major hit, reaching the Top Ten. Produced and written in collaboration with fellow U.K. hitmaker Fraser T. Smith, Rokstarr was re-released internationally in 2010 with the addition of "Dynamite," a Dr. Luke production that topped the charts in a half-dozen different countries. "Break Your Heart" was likewise re-released internationally and hit number one in several different countries, including the United States, where it was remixed to include rapper Ludacris as a featured guest.